My late maternal grandfather had flawless skin. 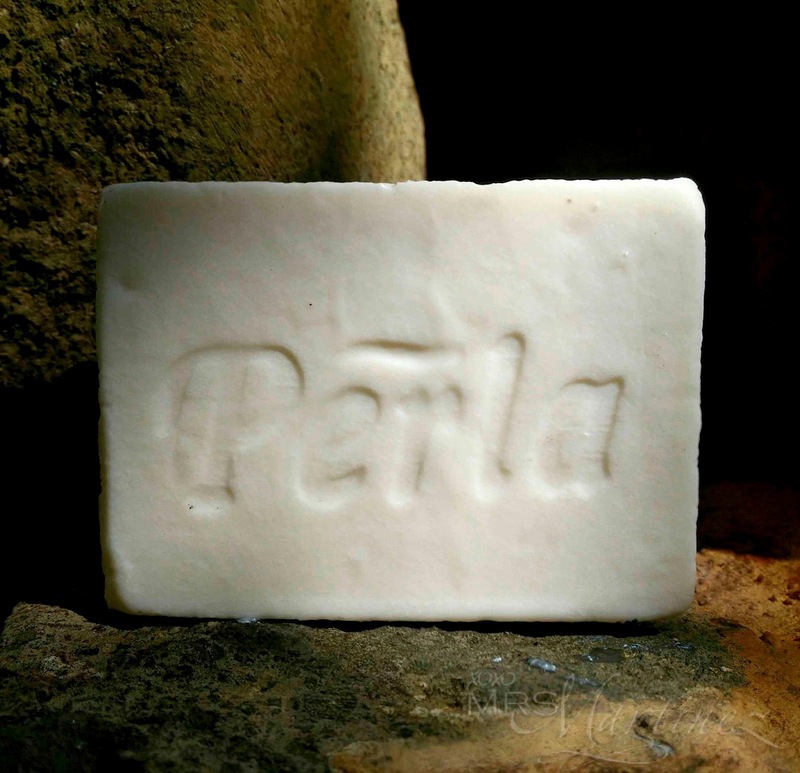 Till the day he died, he used only one soap for his hair, face and body- Perla. Yes, the hypoallergenic original white laundry bar soap. My mom would always share this story especially when I was growing up. As a teenager, I am always curious about the various beauty soaps available in the market. My mom would always say, "You don't need those. Look at your gwakong, he uses Perla and he has flawless skin." Later on, I learned that my mom also washes her face with Perla if a pimple appears out of no where (she's 61 for goodness' sake!). 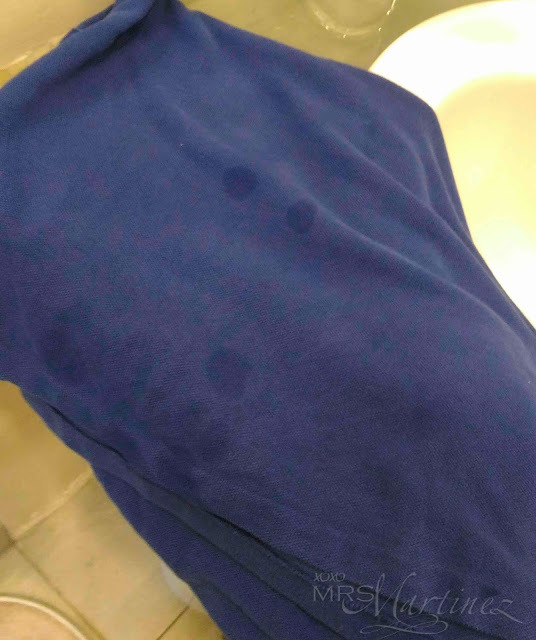 One of the shirts that came back from the laundromat has splattered stains all over. I don't know if the stains were already there prior but obviously, whatever laundry soap used was not effective enough to remove it. 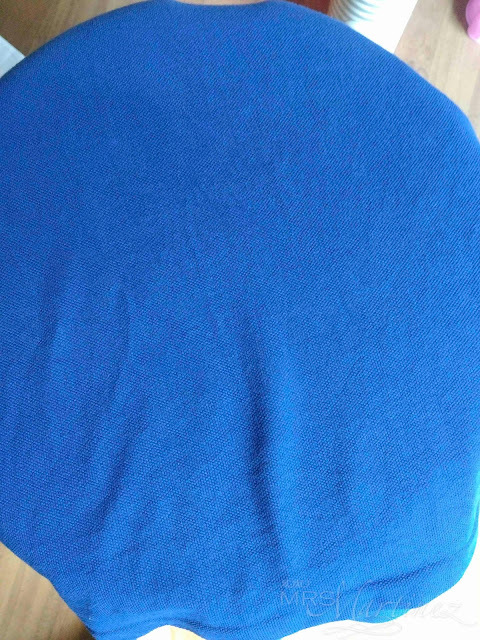 I tried spot washing it with Perla bar, let it air dry and... the stains were gone! Oh, you might be wondering why I grated the Perla bar soap (in the second photo)---> to dissolve the soap quickly when you use it as your preferred laundry soap in washing machine. 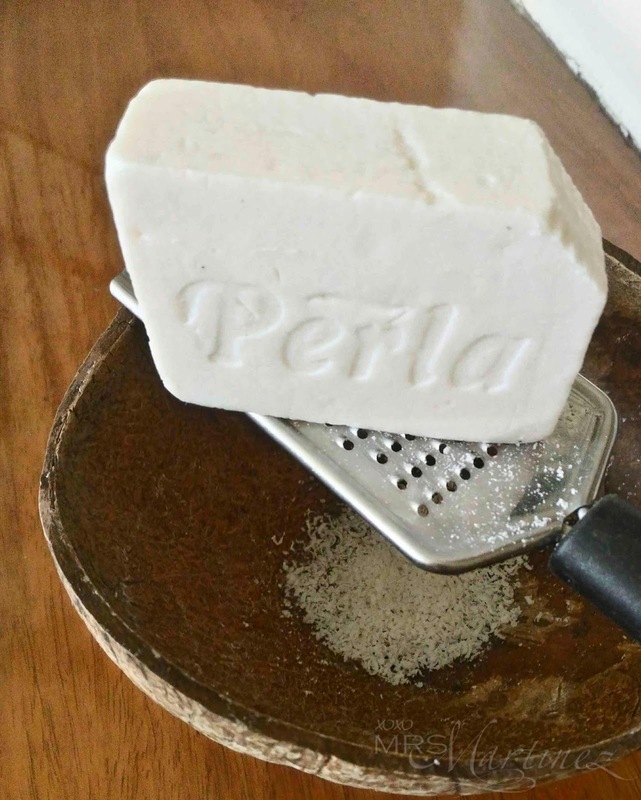 Yes, mommies, you can use your Perla bar soap in your washing machine. Grating it quickly dissolves the product in the water. Aside from using Perla as laundry soap, my family has use it as beauty and body soap. What about you? Have you tried using Perla Hypoallergenic White Laundry Soap aside from those that I have mentioned? Kindly share your experiences in the comment section.